those birds are just so striking. one second looking regal; then the next clownish. Great capture! I like the flight shot! Lovely captures of your beautiful birds. Great close ups. Boom & Gary of the Vermilon River, Canada. Not a species I've seen over here but did see a few thousand in the US some years back. Most definitely the easiest to pick out from a mixed flock by the size. Lovely crisp selection Mick. 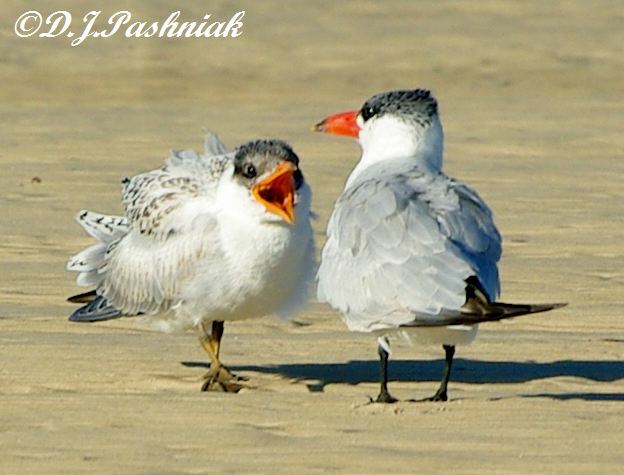 Awesome captures of the Caspian Tern Mick! Like that the begging bird is trying to make eye contact and is being ignored.Just like my little grandson really. I love the expression on the one bird in the first photo. Great timing on that one! Very beautiful images. Wonderful shots and a great on the Caspian Terns. 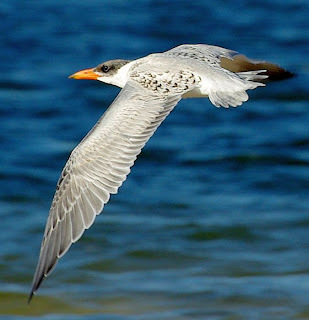 I enjoy watching all the different terns around here. Breathtaking images! 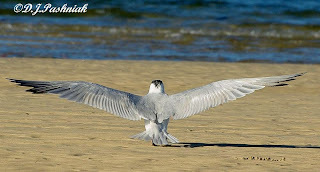 It is hard to imagine you could capture these beautiful terns any better. Bravo! The juvenile looks like it's being very vocal - a great shot. But, the last one is a really super capture. Thanks for your visit. Have a wonderful week. Wow! That is quite an impressive wingspan! Beautiful photos! Your photos shown at WBW are both perfect and exciting! The first one is really something great to me, but also the action captures are very fine! Hi there - I have had a chance to band some Caspian Tern chicks - even they seemed huge in the hand! Great photos. Their bill always looks so large compared to the other terns. Great post. Interesting info and very good captures to boot! I am surprised by their size. Wonderful shots! The photo of the begging chick is really cute and that flight shot is beautiful! Incredible photos,specially the last one! Such smooth awesome shots..NO camera shake, no blurr...color perfect!!! Great post. 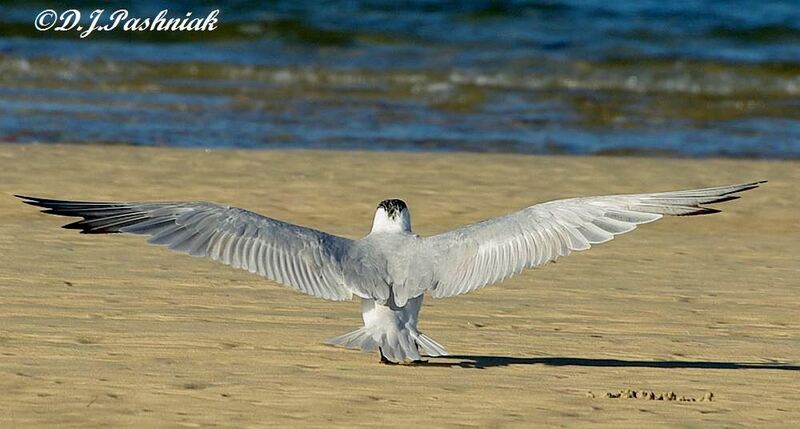 Beautiful shots of the terns, they are such pretty birds! Beautiful pictures! I enjoy reading about "professional" birding (as opposed to casual, whatever I happen to see birding that I do). It seems amazing to me that you can both count and take pictures....I can't balance binoculars and camera (not and walk at the same time ;>)! I am so glad that you are out there on the sandy straits doing what you do and even happier that you are willing to share your wonderful pictures and information.